CHICAGO–(ENEWSPF)–May 25, 2017. Amtrak CEO Wick Moorman and Chicago Mayor Rahm Emanuel today announced selection of a team led by Riverside Investment & Development Co. to serve as the Master Developer for commercial elements of Chicago Union Station (CUS) and neighboring Amtrak-owned properties. The proposed commercial development will total approximately 3.1 million square feet at full build-out. The developer expects to create approximately 7,500 construction jobs over the life of the more than $1 billion project, as well as an additional 7,000 to 8,000 permanent jobs. 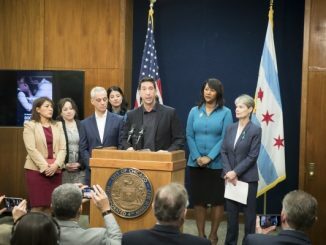 The commercial aspects of the project do not require any Federal, state or local funding and will be considered by the City of Chicago Plan Commission, Landmark Commission, Zoning Committee and City Council. The Amtrak Board of Directors this week approved the designation of a master development team led by Riverside. This designation is based on a staff recommendation and follows a rigorous technical and financial review, assisted by KPMG, AECOM and Savills Studley. The Board also approved finalizing financial negotiations with this developer by the end of the year. In addition to a competitive review process, Riverside and its partners were selected due to their extensive experience in successfully developing complex, transportation-oriented, mixed-use properties. The team includes: Riverside Investment & Development; Convexity Properties; Architect Goettsch Partners; Structural Engineer Magnusson Klemencic Associates; Rail Operations Interface Manager & Civil Engineer WSP; Construction Manager Clark Construction Group; Operations, Maintenance and Retail Concession Manager CBRE Inc.; and Mechanical, Electrical, Plumbing and Technology Engineer ESD Global. This team was chosen from a pre-qualified field of four following a Request for Qualification. Previously, Amtrak, the City of Chicago, Metra commuter rail and the Regional Transportation Authority (RTA) were involved in reviewing teams considered capable of all aspects of project delivery. This group of agencies has been working on conceptual planning and design work for a series of projects at Chicago Union Station. That work follows a Master Plan that the City of Chicago completed in 2012. 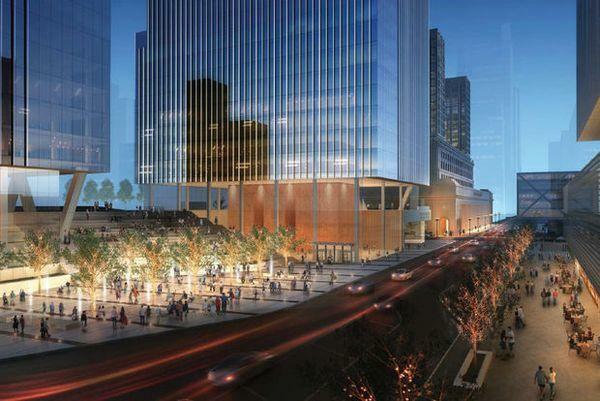 The designated developer will harmonize commercial development with the need to address growing passenger volumes at CUS, and to successfully integrate the station into the surrounding West Loop neighborhood. The Master Developer will also engage the community and incorporate feedback from West Loop stakeholders into any development plan. The Master Development process in Chicago is part of a larger corporate program to leverage the substantial Amtrak asset portfolio and also includes stations in New York City, Philadelphia, Baltimore and Washington D.C.
Amtrak – America’s Railroad® – is dedicated to safe and reliable mobility as the nation’s intercity passenger rail service provider and its high-speed rail operator. With our state and commuter partners, we move people, the economy and the nation forward, carrying more than 30 million Amtrak passengers for each of the past six years. 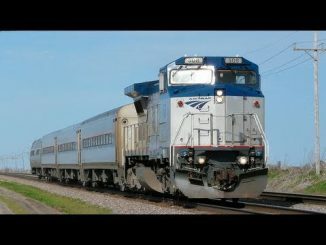 Formally known as the National Railroad Passenger Corporation, Amtrak is governed by a nine member board of directors appointed by the President of the United States and confirmed by the U.S. Senate. Anthony R. Coscia is board chairman and Jeffrey R. Moreland is vice chairman. Amtrak operates more than 300 trains daily – at speeds up to 150 mph (241 kph) – connecting more than 500 destinations in 46 states, the District of Columbia and three Canadian Provinces. Learn more at Amtrak.com or call 800-USA-RAIL for schedules, fares and other information. Like us on Facebook, Follow us on Twitter (@Amtrak) and check out our blog at blog.amtrak.com. Riverside Investment & Development is a commercial real estate firm based in Chicago, Illinois. Riverside actively pursues complex, large-scale real estate acquisition and development opportunities across a multitude of asset types, with a focus on transportation-oriented developments. The Riverside team is responsible for the award-winning 150 N. Riverside development along the Chicago River, as well as the highly-anticipated, 51-story downtown office building at 110 N. Wacker. Additional information can be found at www.riversideid.com.